Manchester City's fans must match the players' desire to reach a Champions League semi-final, according to manager Pep Guardiola. City host Tottenham at the Etihad Stadium on Wednesday, nursing a 1-0 deficit from last week's encounter in north London. Despite contesting their eighth consecutive campaign in Europe's premier competition, City have only reached the last four once – losing 1-0 on aggregate to eventual winners Real Madrid in 2016. An element in the club's uneasy relationship with the Champions League is rooted in a standoffishness from a significant section a fanbase that followed City with unswerving loyalty when they languished in English football's third tier 20 years ago. Reasons for this are numerous – from dissatisfaction over UEFA punishments handed to opposition clubs when Mario Balotelli and Yaya Toure suffered racist abuse while playing for City in Europe, to a distrust of the scrutiny Financial Fair Play laws have placed upon the three-time Premier League champions. 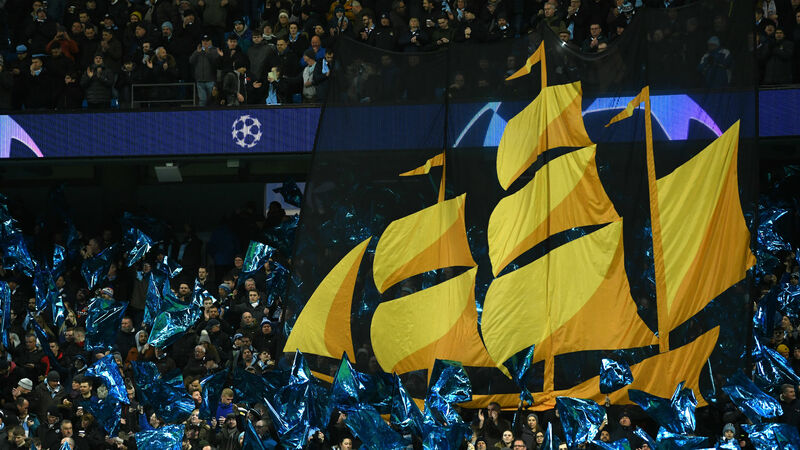 City supporters' antipathy towards the Champions League has been demonstrated by those who boo the competition anthem at the Etihad Stadium, something Guardiola has previously urged them to stop. As a member of the team that ended Barcelona's long quest for glory in the tournament, Guardiola holds it in contrasting reverence and, with the City website still showing tickets to be available for the Spurs showdown, he implored fans to get behind his team's bid for glory. The Champions League returns to the Etihad tomorrow. It's go time! "The Liverpool game would be enough for me," he said, referring to the raucous atmosphere that accompanied City's 2-1 win over their Premier League title rivals in January. "[I would like] a little bit better. We need it. "I am sorry, guys, I am a failure but many times I played in the semi-finals and quarter-finals, and every time I played away the atmosphere was really incredible. They support their local teams. We need it. Really, we need it. "I want to see if [the fans] want to get to the semi-finals. Not just the players, the players I don't doubt after the last 20 months. I want to see my fans, our fans, that they really want the semi-finals." Guardiola added: "Do it for the [players]. After 20 months, I think [the fans] are so proud of what they have done and they deserve it. "There will be bad moments in the game and in those moments we need our supporters. At this stage, without supporters you cannot go through. "I am expecting. I am really curious about how our fans are going to react, really curious." Guardiola sarcastically referring to himself as "a failure" was in keeping with a sometimes tetchy pre-match news conference, and alluded to a succession of defeats in the Champions League knockout rounds since he led Barca to a second triumph in three seasons back in 2010-11. "I know the people say I came here to win the Champions League. I did not come here to win the Champions League, honestly," he said. We played with incredible personality in the last 2 or 3 months. We have incredible numbers last two seasons and show how consistent we are. "I came here to play with my team the way we are playing in the last 20 months. To play the way we want to play. "Of course I want to win the Champions League. I know at Bayern Munich, we won absolutely everything except the Champions League and it was a big failure. "What can I say? I have to accept that. I have to live with that, but it is not a big, big problem. It pushes me to be better. "It is important how you handle 11 months. That's why I said many times the Premier League, for me is the most important title. Every three days, being there, it is a good message for ourselves – being there every time. "Just put everything on the pitch tomorrow. Our hearts, our desire and then we will see."